Sarah Heady (b. 1985) is the author of Niagara Transnational (Fourteen Hills, 2013), winner of the 2013 Michael Rubin Book Award, and Tatted Insertion (San Francisco State University, 2014, with artist Leah Virsik). 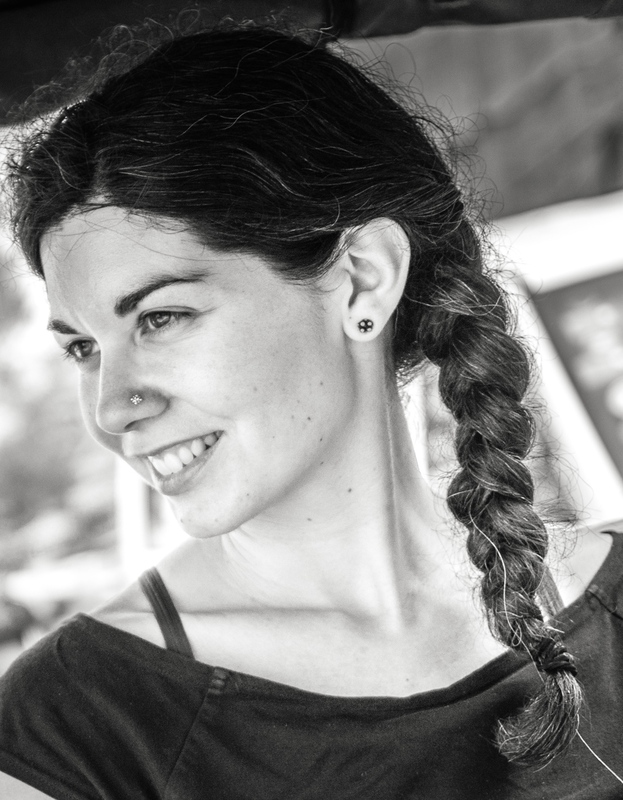 Her manuscript "Comfort," a poetic meditation on female solitude, agency, and relationship set on the prairies of the American West, has been a finalist for the 2017 National Poetry Series, the 2017 and 2016 Colorado Prizes for Poetry, the 2016 Omnidawn Open, and the 2016 Cleveland State University Poetry Center Open Book Competition, as well as a semifinalist for the 2017 Nightboat Poetry Prize and the 2016 Subito Press Poetry Contest. Sarah is the librettist of UNFINISHED: An Opera, a new work about the death and life of a women’s college, currently in development with composer Joshua Groffman and producer Vital Opera. Unfinished debuted in summer 2016 at sold-out engagements in Dutchess County, NY and at the National Opera Center in New York City, where it returned in October 2018. A native of New York’s Hudson Valley, Sarah holds a BA from Oberlin College (Creative Writing and Art History) and an MFA from San Francisco State University (Creative Writing). She lives in San Francisco, where she works in fundraising at the intersection of mental health, spirituality, and social justice and co-edits Drop Leaf Press, a small women-run poetry collective.